Kirkcaldy’s first wellness centre opens thanks to local investment which has transformed derelict premises in the town. A new wellness centre has opened in Kirkcaldy following the five-figure refurbishment of an empty town centre premises. Mind, Body & Spirit is the latest offering from the Heart Centre, which specialises in holistic and Fairtrade gifts. The venue, which can be found opposite Wilkies department store and above the Fife Shopping & Support Services shop, has been transformed from a derelict space into a state-of-the-art yoga and pilates studio with treatment rooms and a holistic workshop area for classes and events. 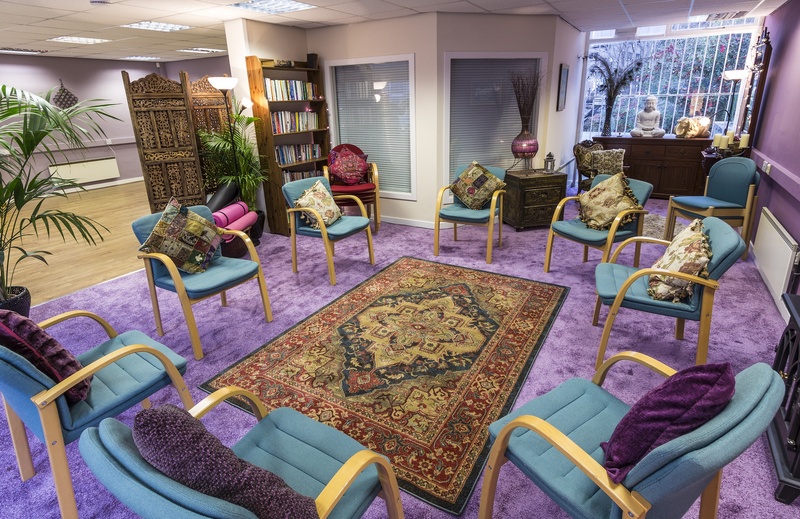 Local businesswoman Elaine Dall, who runs the Heart Centre, is a specialist in alternative therapies and has invested a five-figure sum in refurbishing the former office premises. She has expanded the business to introduce a series of new classes and treatments, which include Reiki, aromatherapy, massage and meditation, as well as fitness classes such as yoga, pilates and Tai Chi. Elaine said: “I’m delighted to be able to bring this much-needed wellness centre to the town, particularly with the sad loss of the Synergy Centre in Glenrothes. “I’d encourage people to take a look at the website, or give us a ring, to find out more about what we have in store for 2016. We have already launched a few new classes, working in partnership with local instructors and therapists, and look forward to introducing even more events and activities throughout the course of the year. Mind, Body & Spirit is essentially a place where people can come and try something new, keep fit, meet with like-minded people and learn more about alternative health and complementary therapie". The new space, which is an extension of the Heart Centre, is the latest in a series of business improvements to be made by Elaine. In 2015, she rebranded the shop formerly known as The Merchant’s Garden to the Heart Centre and relocated from near the Harbour to the other end of the Merchant’s Quarter to be closer to the centre of town. The business has been entirely self-funded by Elaine, who is Kirkcaldy-born and bred. She gave up a high-flying career in IT to realise her true calling of helping people and became a qualified hypnotherapist in 2005. She then set up shop in Kirkcaldy in 2011.